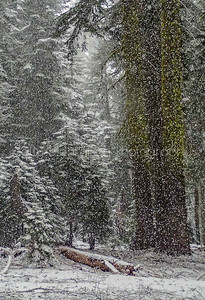 A walk in the woods below Mt Shasta. 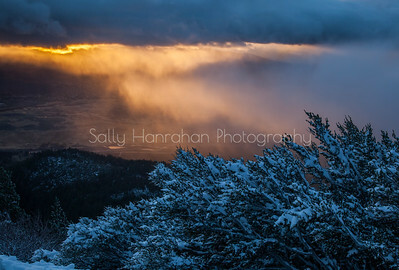 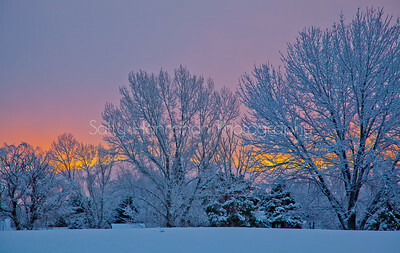 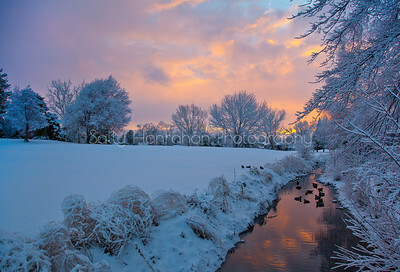 Morning Sunrise over washoe valley from the Mt Rose Ski Area. 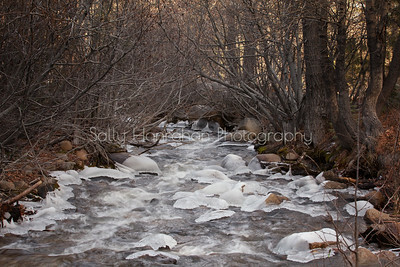 The creek flows while ice makes patterns on the shoreline. 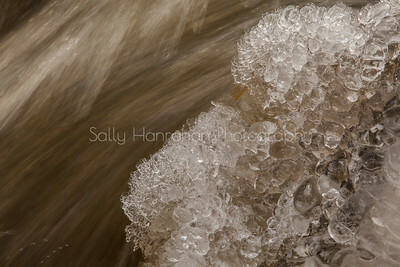 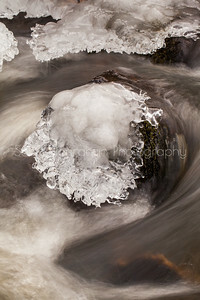 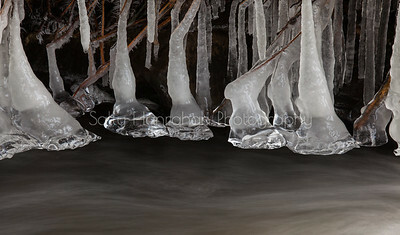 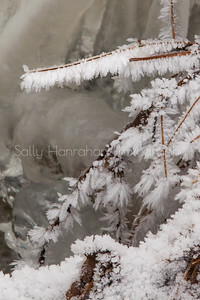 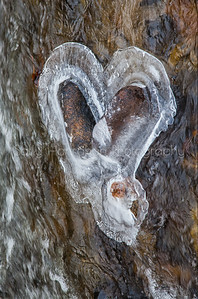 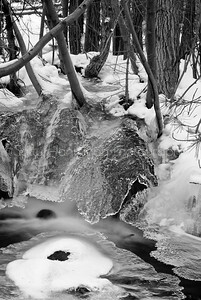 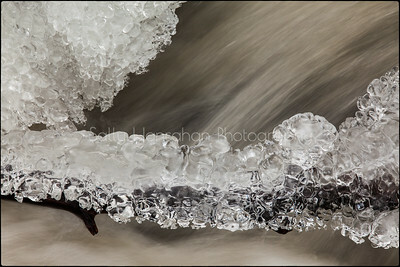 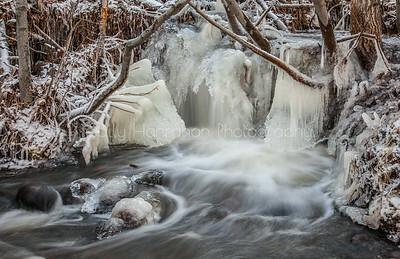 An Ice necklace covers a branch while the creek runs underneath. 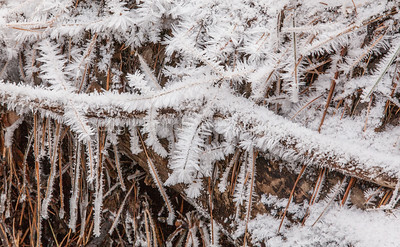 Pogo nip covers pine needles and branches at thomas creek. 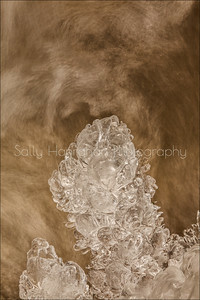 When I saw this ice pattern and started to photograph it, I didn't realize it looked like horses hooves until I got home and put in on the computer. 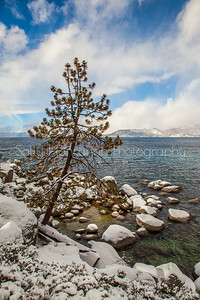 A stoic trees stands the test of time and storms on the shore of Lake Tahoe. 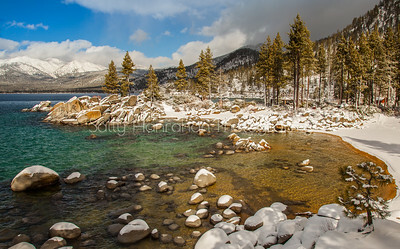 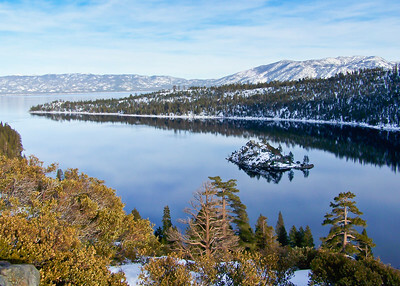 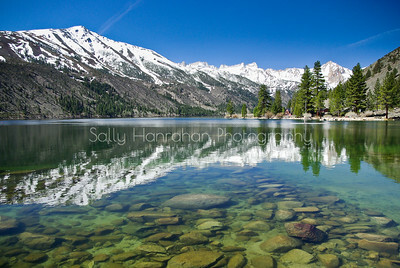 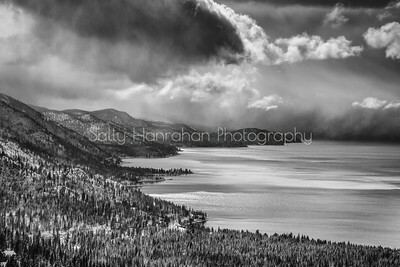 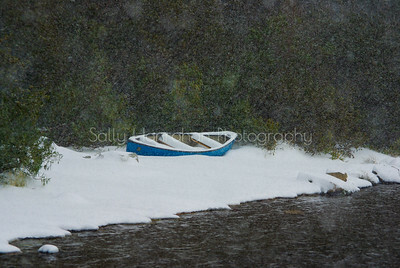 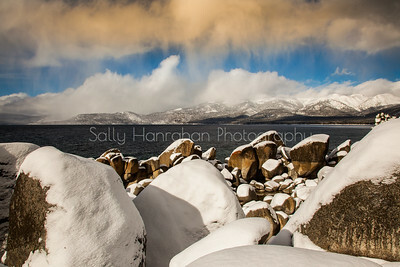 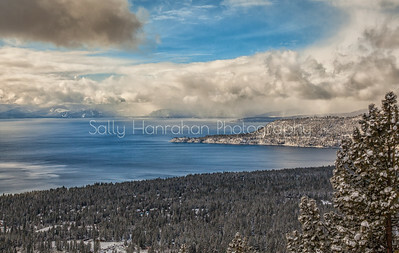 The pristine waters of Lake Tahoe shine through on a winters day.